Alex de Minaur's aggression is firmly on the radar of Team Nadal ahead of Friday night's third round Australian Open blockbuster with Rafael Nadal's coach wary of the "more complete" young Australian's effervescent talent. 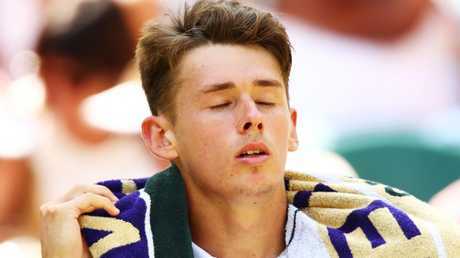 The clash marks de Minaur's first third round appearance at his home grand slam while Spanish superstar Nadal has been ousted before the quarter-finals just once since 2006 - when de Minaur was just six years old. 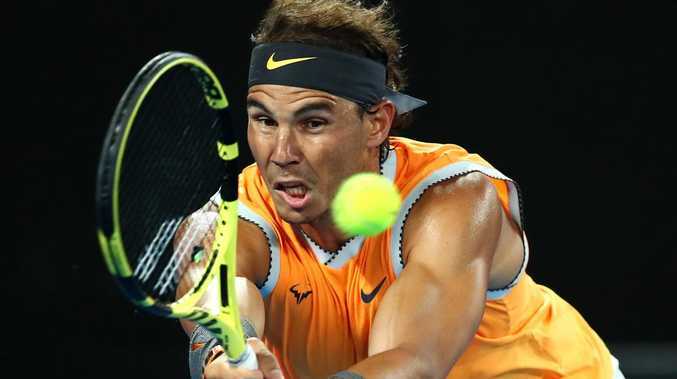 Nadal's coach Carlos Moya says the young Australian has earned the respect of his opponent and poses a genuine threat. "We know he's going to be a tough match for Rafa, but we have weapons as well, and we'll see how it goes," he said. "(De Minaur) is very aggressive. He takes time away from you and is very fast. He plays very close to the baseline. He's very talented and he plays very flat. We know that like I said it's going to be a tough match." Moya - who also serves as technical director at the Rafa Nadal Academy - said de Minaur "doesn't need to be motivated" given his "great attitude". "But playing at home always gives you this extra energy and extra motivation and we are aware that it's going to be a tough match," he said. The pair met in the third round at Wimbledon last year, with Nadal demolishing the Australian in straight sets. But Moya is conscious that a lot can change in six months. 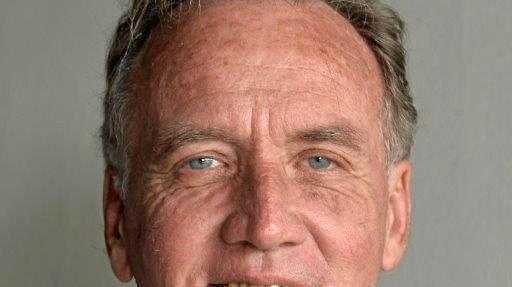 "It was … not so long (ago), but when you talk about kids that are 19 or 20 years old, months make a difference," he said. "Obviously it's better that Rafa won in straight sets and I think it was a good match for him, but we cannot forget that he is improving every week. "We know that there is no reason that because he won easily that he's going to win easy (Friday). We are aware that he is doing little changes and is more a complete player now. "Mentally, he is going to be more ready. Maybe it was overwhelming, a little bit, to play on centre court against Rafa at Wimbledon. Now, it is a different story and we know that he is going to be ready for the challenge and is going to give his best." The off-season saw Team Nadal tweak the serve of the world No. 2 slightly, given the luxury of extra time given his injury woes. Moya said the 17-time slam winner had adapted well. "There's always room to improve, even for such a great player like he is," he said. "He's ready, he is willing to keep evolving and keep improving and that's the first thing. "(We're) happy so far - we need more matches to see how effective the changes were, but we believe that in the mid-term it's going to be good and we are happy."